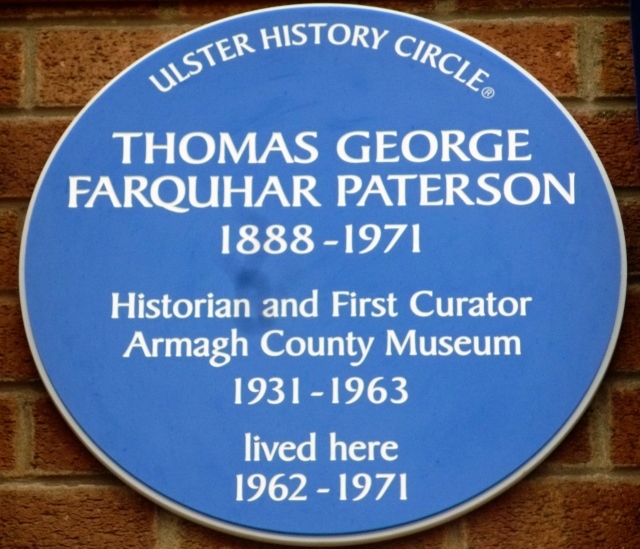 Location of plaque – Charlemont Gardens, beside Armagh County Museum, the Mall East, Armagh City, Co.Armagh. Date of unveiling – 12th March 2015. Unveiled by Mr. Roger Weatherup and Mrs. Patricia Paterson. 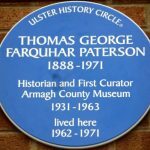 Funded by – Friends of Armagh County Museum and Friends of the Ulster Museum.